Walker Dennis and I have been enjoying playing LEGO Dimensions this past month. I had gotten us to the Prime Time level and something odd happen to the PS4. We started getting the CE-34878-0 error and I thought the PSN was auto updating our saved file, which wasn’t happening and this past weekend, we got our saved file corrupted. So I thought “no problem” went to our cloud save and it was barely on the Simpsons level, which is the second level. All of our progress, our vehicle upgrades, the gold bricks, everything was essentially back to zero. At least, we’re smarter now, so I knew to quickly get to a million points, go to the Lord of the Rings adventure world, receive the red brick that provides a 2x multiplier, and that was my first goal. To get to that first million, I highly recommend getting the Knight Rider adventure world, as there are gems for days there, you can easily get to 300,000 with barely any real work, and then you either go into the Knight Industries semi truck, or you go into Devon’s mansion or the warehouse next to his office where R3 is. Jump out of either of those locations and the world resets itself and you do that three to four more times, and you get a million points/studs/gems. I go back and forth on the terminology. So I was putting that entire thing off but Walker Dennis has been eagerly wanting to get back to the Scooby Doo level, Monster Mayhem Mash Up, so again, I’m trying to beat a level a night and the levels are very long. At least my trophies didn’t get reset, I may have lost my mind if that was the case. We have added to our list of characters, so we had the Starter Pack of Batman, Gandalf, and Wyldstyle and of course, we had Michael Knight and KITT. My wife got us Mr. T and his van. So we lost all of the progress we made to the A-Team Van, KITT, and the Batmobile. Next, my wife saw that both Aquaman and Chase McCain (from LEGO City Undercover) were both priced at eight dollars. I had done my research and both are super important to the worlds but Chase gave us a new world so I asked for him. Thanks to YouTuber packattack04082 for hosting the above video. I still haven’t had use for Chase’s sixth costume, the farmer one. I’m sure it’ll become useful eventually. I also had to redo getting his costumes, the farm land isn’t easy to come across in his world. I also had to redo all of the gold and the A-Team world, so that I can change Mr. T into the other A-Team members. Thanks to TheBricksFamily for hosting how to make McCain’s helicopter. Sometimes, it is just easier to watch a YouTube video instead of turning on the game, loading the game, putting the character on the toy pad and having the game walk me through the process. Though, doing it through the game, I don’t have to pause the screen, so that’s nice or it is easier to go back a step. Both come with the pressure of trying to assemble it quickly. I do enjoy putting LEGO pieces together and following directions, that is pretty fun. I saw the Beetlejuice set at Walmart and I failed following the Thou Shall Not Hesitate Commandment (the greatest commandment) and didn’t buy it and I’ve regretted it since. We bought the Marceline set, from Adventure Time, as I saw she was pretty important to the gameplay, plus she was the only one in the Walmart clearance section. Since I failed before, I was adamant about not passing her up. Thanks again, packattack04082, for hosting another great video. So I built her Amp Monster as well and we maxed out all of the vehicles’ abilities and forms. And our file got corrupted so all of this had to be redone. My wife bought the Ghostbusters 2016 story pack and that is coming shortly and I bought the Goonies level pack, mostly as it has the 4x multiplier, which stacks with the 2x multiplier, for 8x the collected gems. I let Walker Dennis build up as he saw fit during the week, but when we played together last, I had him make sure to boost all of the vehicles to get them to the point where they magnetically collect studs from all around them, which is a real time saver. We have since got all five vehicles fully upgraded and all of their forms unlocked. We have all of the red bricks we have access to unlocked and paid for. I haven’t had a real chance to play the adventure lands with him but we have to go back and buy all of the renovations of each of the adventure lands, each one has six but we should have plenty of points to unlock all of them as we visit them. I was holding off until the Goonies came in but Walker Dennis has been a real good sport of wanting to make progress in the game, which I’m with him on that, and I have to maintain two million points so that I can unlock the Goonies red brick as quickly as possible. I just want it to get the Rule Breaker achievement in the story missions with ease and to help increase the value of the gems in the Adventure Time world as I had gotten five easy gold bricks and barely had the rule breaker bar filled up a quarter of the way and that was with the 2x multiplier so I definitely need help there. I also just learned that the giant (than the minifigs) lego bar that turns yellow, silver, blue, and purple, if you hit it when it is a particular color, that color gem comes out. I’ve been taking it for granted which color gem appears but I noticed it turned purple once and I’ve tested the theory. So if you see one, wait until it turns blue or purple and break them up at that time. I’ve looked for a picture but I can’t find one, I may have to take a picture with my phone to see if I can get the right wording of it. 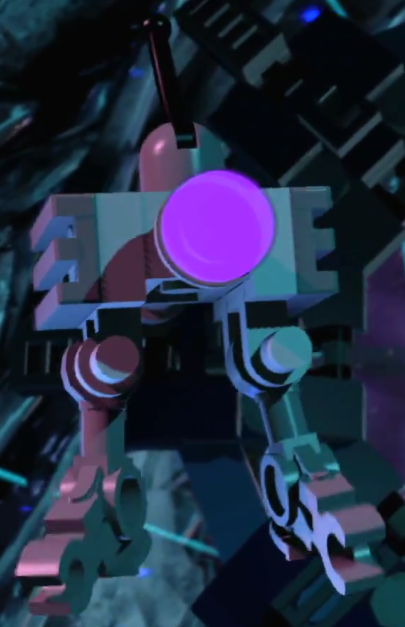 I’m at the Lego Dimensions wiki all of the time now! At first, I didn’t bother making him and then the next time Walker Dennis saw the Voltron main area, he recognized some of the pieces and immediately wanted me to create it. Thanks to cusman for including the instructions and the video of his first appearance in the game. We got another CE-34878-0 error over the course of the couple days it took to write up to this point and I performed the quick option of initializing the PS4. The full version stated it’ll take a few hours so I didn’t want to subject our son to the long wait (though I could have done it over night, I supposed). Doing the initializing means that everything is erased and started fresh, which I felt pretty confident that everything else was uploaded from a while ago, and if not, I’ll just commit to getting all of that progress again. I also knew that the bulk of my games I’ve been playing recently were through the PSN, so those games would be easy enough to reinstall. One real benefit of doing that was that I was at the halfway mark in terms of storage, like 5GB, and now we’re at 1GB, so without Fallout 4 being on the system, I’m pretty sure we got all of that space back. I’ll slowly add my disc games again and the downloaded games, as I feel like playing them but right now, we are all about Lego Dimensions. While waiting for Lego Dimensions to full load, and then getting the DLC (the adventure worlds) reloaded as well, I started Fallout Shelter, and it was much better on the PS4 than on my phone. I haven’t gone back to it besides playing it for that almost hour but it isn’t bad in short chunks. I should play it like I hope to play Knack, where I do a chapter segment and then play another game but instead of a segment (as there are no segments) I’ll just commit to doing it for 30 minutes or so. My real grief with initializing the PS4 was that we still ended up with the error so now I’m not sure what to do. I’ve read that people contact SONY and get a replacement PS4 that way but I’m hoping the next big system update might fix whatever problem we’re having. Gosh, how I wished I knew what exactly happened that afternoon I was driving home when the PS4 wasn’t turned off correctly. At least I’m being manic about uploading our saved data (which I’m sure is the root of the problem but we’ve made so much progress that I have to live with the threat of the saved file being corrupted) after beating each story mission. I have a suspicion that it is related to Chase McCain as the game seems to have an awkward pause in-between his costume changes. The real problem with initializing the PS4 was that my son lost all of his trophies on his guest account. He didn’t seem to mind, as he’s four, but we played for maybe ten minutes and all of a sudden, he earned like seven trophies, so he’ll probably get the bulk of them back as we play together. We are expecting the 2016 Ghostbusters story pack to come in as well as the Goonies pack. I’m on the Phantom Zone level of the story (the Ghostbusters one), so I’m three more levels to catching up where we left off. Its been pretty fun going back as now that we have Chase McCain and Marceline, we’re able to get even more minikits than before. With the trailers and teases for the 13th Doctor coming up, I’ve been really wanting to get back into Doctor Who so we watched the Husbands of River Song Christmas special. Walker Dennis was really into it until the ship they were on started to crash and then he got a tad scared, which is super cute. But now I really want that Doctor Who level pack, it is still over $20 but I’m not sure if I can wait until it is under $20 but I’ll give it another month. I imagine it won’t go down in price that much, due to the franchise still being very popular and the TARDIS being pretty useful in the game. Our son started calling this other toy of his “Doctor Who box” and that was pretty cute too. I can’t believe I don’t have a toy of the TARDIS, I guess I never came across one that was cheap enough or not a Christmas ornament. I also can’t believe that from 2015 to 2016, there was no new episodes of Doctor Who, that sounds amazing to get BBC to commit to doing that. I was confused as Husbands of River Song and Return of Doctor (Rey) Mysterio were both Christmas episodes and I had to read those Wikipedia pages a couple times as I thought there would be a season in-between them but nope, there sure wasn’t. I really did enjoy Jenna Coleman as Clara Oswald, I keep thinking that she’ll probably be ranked as my favorite of the companions, they (Steven Moffat and his crew) did such a great job with her character and I really like Coleman as an actress too. June 30, 2018 – S&FwM’s Fifth Birthday!!! We turned five years old on Saturday! We’re doing it! Like always, here’s our latest stats! At 3,602 views – our most popular post is still my post about Bounce Patrol. At 1,468 views – our most popular comic review has been New Avengers 51, beating out last year’s Death of Wolverine 3. Best Ever Single Day View : 275 -July 24, 2014 . I imagine this must still be it, it is the only stat I can’t recreate it. 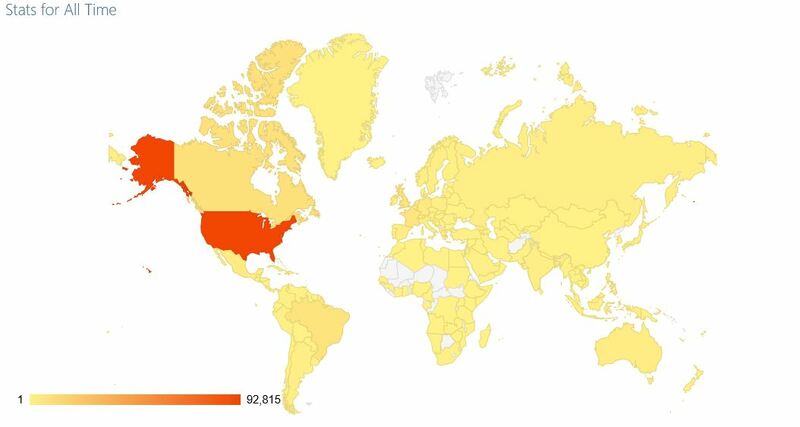 I’m still a tad obsess with getting my visitors from countries with nine views to ten views so if you know anyone in Cape Verde, Guyana, Laos (still! ), and Armenia, please let them know they are always welcomed back. Moldova went from 9 to 11 from last year. I’m trying to do a better job of thinking of posts and maybe I should just bite the bullet and start doing posts that are barely 50 words but I never think that’s worthy of a full post but if I do enough of those, maybe it’ll ignite a desire to do longer posts. I’m just not really doing anything besides being the best husband and father I can be and that’s been cutting into my time to do other posts. I should just do posts regarding the television series and movies I’ve seen. I just have to get back into the writing habit. Thank you again for everyone who has come to the blog, even with the lack of reviews of current comics. People do seem to be coming for older reviews. Right now, I’m making some slow progress in Lego Dimensions. We saw Incredibles 2 in the theater, and really enjoyed it. Last night, we got an hour into Last Jedi and hopefully we can get back to it relatively soon. Its just hard to find time to do everything I want to do, there are only so many hours in the day but I’m going to work harder with the blog as I do enjoy the outlet it provides.